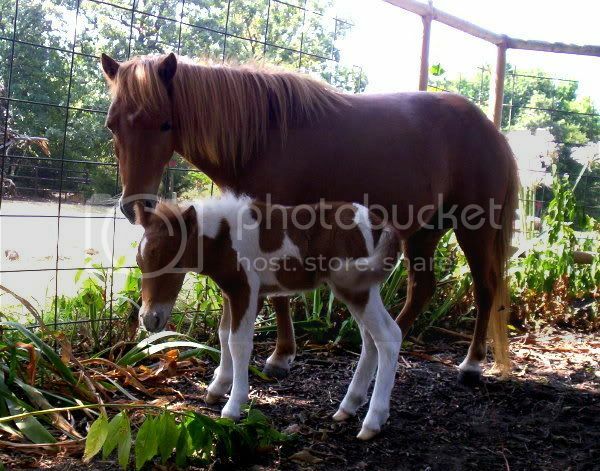 I was lucky enough to find a cute Chestnut mini mare to lease this year for breeding, her name is Sadie and she is 32 inches tall. Sadie was a rescue, she is registered AMHA bt I don't have her info. 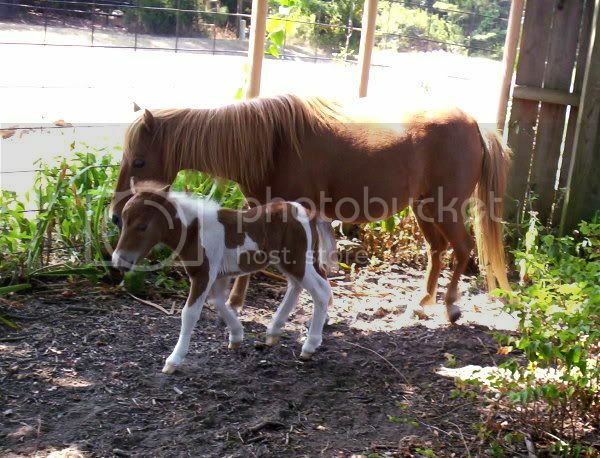 right now, below is a photo of Sadie and her 2008 filly :-) Sadie will be bred to my little Guy Hercules, Herc is homozygous so I should have a very similar foal next spring !